The birds are back!!! Angry Birds rule! 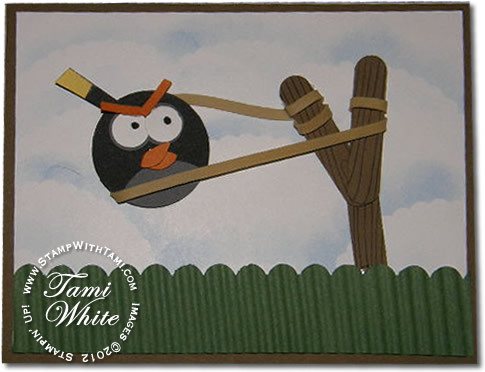 Here is another version of my Angry Birds musical card, this time with the black bird. Open the card and it the Angry Birds theme song plays, thanks to the awesome Recordable Sound Cards (121009) from Stampin’ Up!! What will they think of next?!? !